Prescription Fraud Laws & Legal Help. FREE Consultation! Prescription Fraud Laws & Legal Help. FREE Consultation! Prescription fraud charges are wide-reaching and may be issued if law enforcement believes you misrepresented yourself or lied to a prescribing entity or pharmacologist, or if they believe you’re guilty of “doctor shopping” in order to obtain medications. Medical professionals with the right to prescribe medications may also face prescription fraud charges if they willingly prescribe drugs without a legal purpose. One of the most common issues is doctor shopping, and even everyday average people are accused of this offense. Though some people will travel to many doctors or pharmacies in order to receive narcotics for recreational use or to feed an addiction, chronic pain sufferers often face difficulties with this as well. This is simply because it’s very easy to get hooked on prescription pain medications, and the amount needed to obtain relief increases the longer a person is taking a medication. Even failing to tell a new physician about an existing prescription can result in charges being pressed. More obvious examples of acts that might result in prescription fraud charges include creating prescriptions on a doctor’s stolen prescription pad, using computer systems to create fake prescriptions, or changing a medical professional’s prescription to increase the quantity of a medication prescribed. Some drug users are also known to impersonate medical staff to call in prescriptions to pharmacies, using their personal contact number as call back information instead of the doctor’s. There are many different offenses under Pennsylvania law concerning prescription drug crimes. The possession of any illegal prescription drug is punishable by up to a year in jail and a fine of up to $5,000. A second offense may increase the incarceration time to two years, and a third offense may result in a three-year sentence. Even though the substance is a prescription medication, the charges are still very serious, and a criminal record will impact housing and employment options for the rest of an individual’s life. Things like the right to vote may be also stripped away. Several common criminal defense strategies offered in prescription fraud cases include unlawful search and seizure, faulty search warrants, and other constitutional infractions. For a physician or doctor, the “good faith” defense can be used if a client didn’t disclose important details that would have prevented them from prescribing. 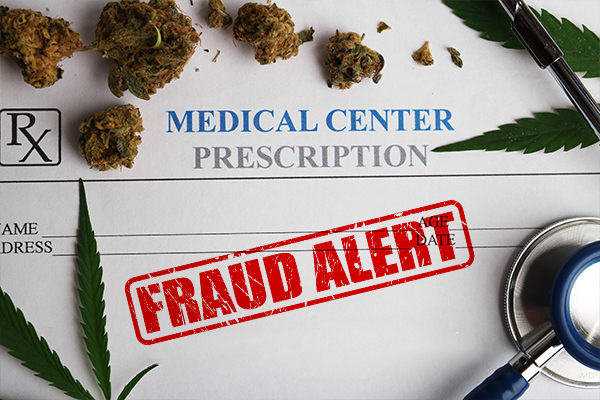 A competent prescription fraud attorney may also be able to have charges dropped or reduced if the person accused is willing to enter into a state-approved treatment program. A skilled prescription fraud attorney, such as those we highlight on this site, will examine all the facts and details involved in a case before determining which defense strategies are most appropriate. If you or a loved one is facing prescription fraud charges, it’s important to select an experienced legal representative right away. Take a look through the profiles listed on this site and schedule your free case evaluations to begin building the best defense possible today.